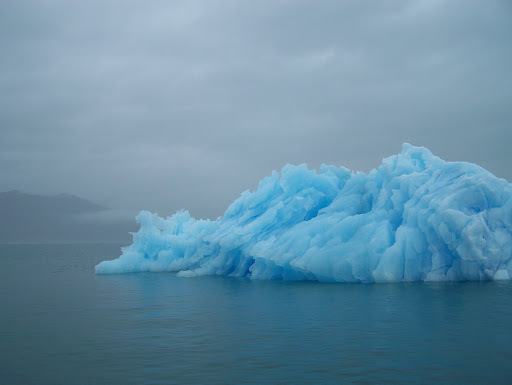 [AAA] Rain, ice, and bergs. | there's no place like gnome. [AAA] Rain, ice, and bergs. When I left you last, I met up with Ben following his work at Prince William Sound Community College [he’s the electrician on staff and they love him] and we went over to his co-worker’s house. They were having a bunch of people over for dinner and board games [my kind of people] and they were a ton of fun. The staff at the college [or at least those there] are super young and funny and awesome and the salmon was delicious. We journeyed ten miles out of town to Ben’s “house” [I use that term lightly.] and settled in for the night. The next day was wide open for me, as Ben headed off to work. I met Kim, Ben’s girlfriend, for breakfast and then I wandered the town [there’s not a whole lot to it], thankful Ben had lent me a rain jacket. [Kim: You didn’t bring any rain gear? Me: I don’t own rain gear!] 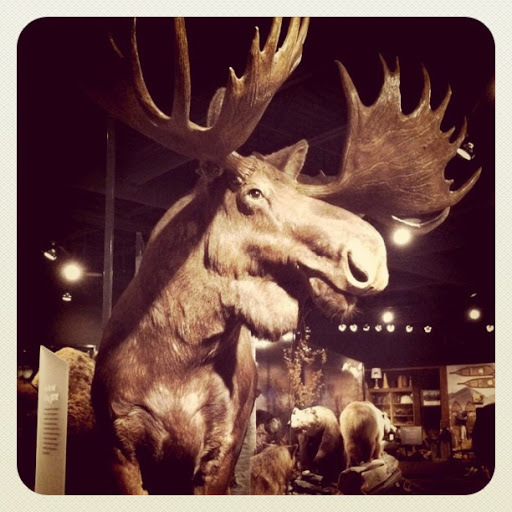 I went to one of the local museums and there saw the one and only moose of the trip. It was stuffed. The museum is part of the college that Ben works for and he gave me a tour of the campus. From there, I said screw it to all my hesitation about the rest of the day’s plans – I got on a boat. A glacier cruise to be exact. It wasn’t an entirely clear day out and the waters were a little choppy. I’m not one for too much water adventure – I recall getting sick on a boat ferry when I was younger. I couldn’t decide if it was worth the money to get on a boat and potentially get sick and be miserable for the six hour trip. But I said screw it. I’m in Alaska and I’m going to go. And it was pretty worth it. 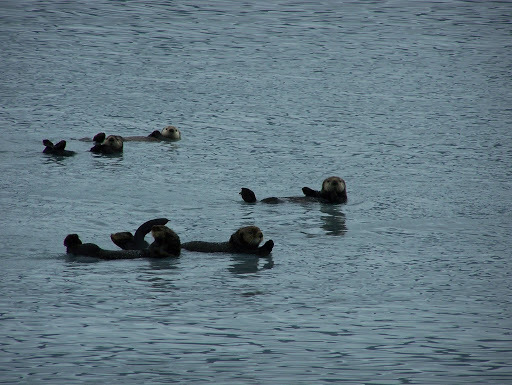 Let’s talk about how darn cute sea otters are! 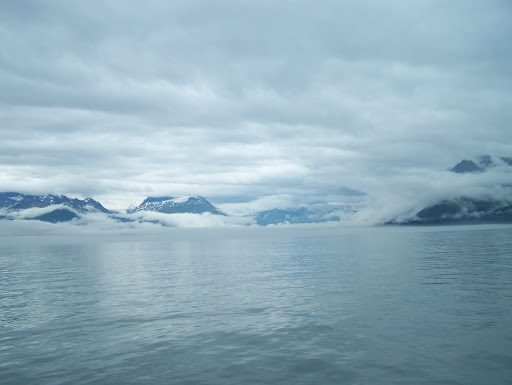 Valdez is essentially surrounded by mountains. We rounded the day out with Mexican food, a movie, and strawberry shortcake before calling it a night. It’s been a ton of fun visiting Ben and seeing this place he now calls home. More about that follow.